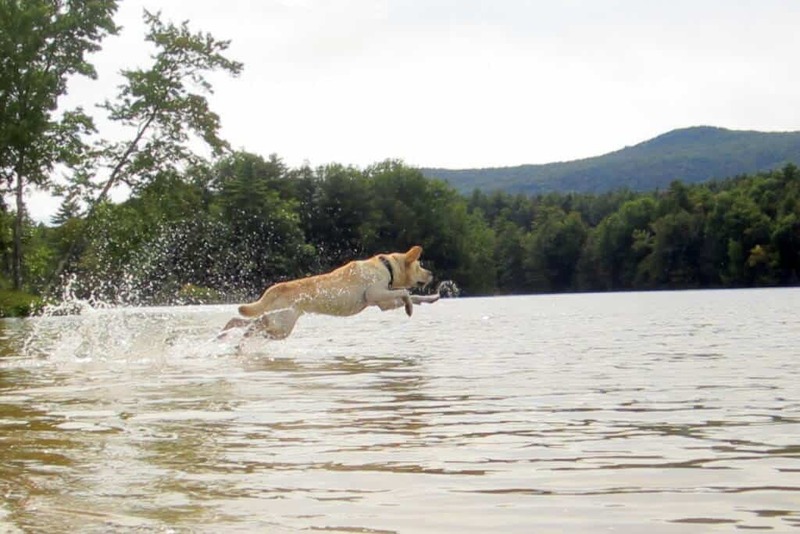 The first step is teaching your dog to love being in the water. 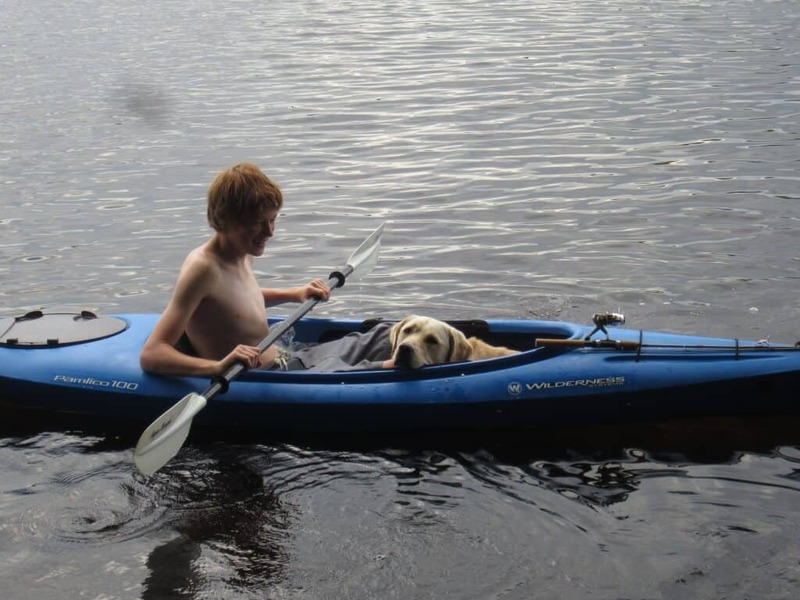 Take it slow, and your dog will learn to love kayaking. because it is durable, dries fast, and comes in bright colors so our pup is easy to spot in the water. We’ve tried cheaper dog life jackets, but they only seem to last one season. and tie it down in case you do capsize. made especially for dogs, an allergy medication like Benadryl for bites and stings, and a vet-prescribed pain killer like Rimadyl for emergencies. It’s really kind of irresponsible to post images of paddlers who aren’t wearing PFDs. Especially when the dogs are and the humans are not. You are right, and it is not something we thought about when writing this post. 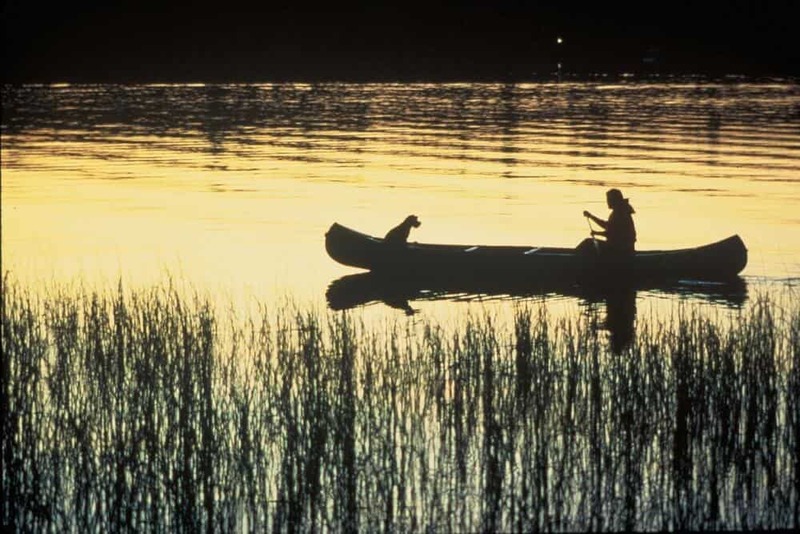 The photos were taken when we were teaching our dogs to ride in the canoe and we are right near the shore. The viewer would obviously not know this, so I will look to replace these with more appropriate photos. Thank you for pointing this out. Thank you for sharing with us this fabulous guide, i always go with my wife to kayak together but the happiness never complete, because of our dog that their stay in-house with my friend, now i can take my dog to paddle with me. thank you so much outstanding pictures by the way. It made my day. This is what I am looking for. Thanks for your sharing this. It inspires me so much. Now I will have more activities for my dog. I’m so glad, Mai! 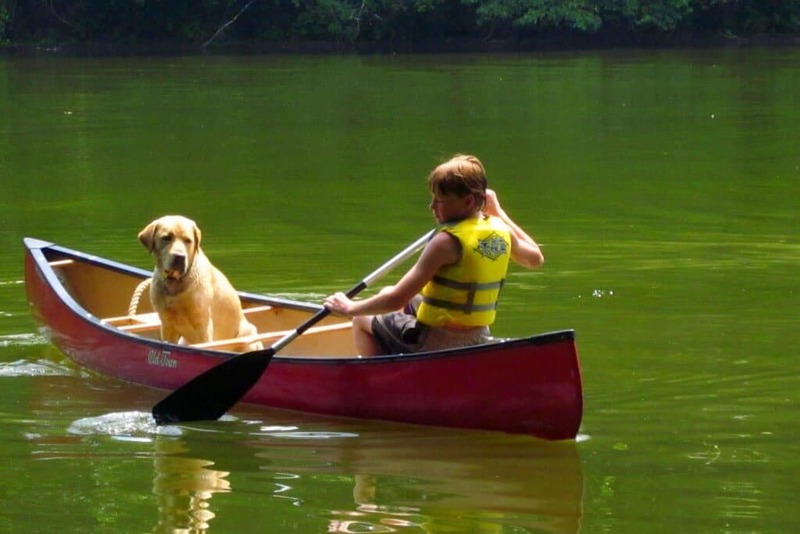 It can seem daunting to bring dogs in your canoe or kayak at first, but once they get used to it, it’s so much fun! Hello Tara! Awesome review! I completed one before on the best kayak for mutts. Having the capacity to take the pooch when you get on the water makes the day considerably more energizing. Thank you so much for the great post! I recently adopted my 2nd beagle & I really hope he will enjoy kayaking with me this summer. He’s only 2 & has a lot of energy so we still have a lot of training to do. He is always stuck to me like glue & I would take him everywhere with me if I could, which is why I want to try kayaking with him. With the very long winter it will be nice to practice & train out of the water while we are waiting for the water temps to warm up! Our German Shepherd spends more time swimming than riding with us in our kayaks. She even tried to ‘herd’ a group of 8 canoes floating past us on the Russian River last summer. The personal floatation device is a MUST–for both the dog and the human! It’s funny that you mention that, Lynn, because we are raising our third German shepherd puppy for Guiding Eyes for the Blind, and all three of them love to swim more than most of our Labradors. 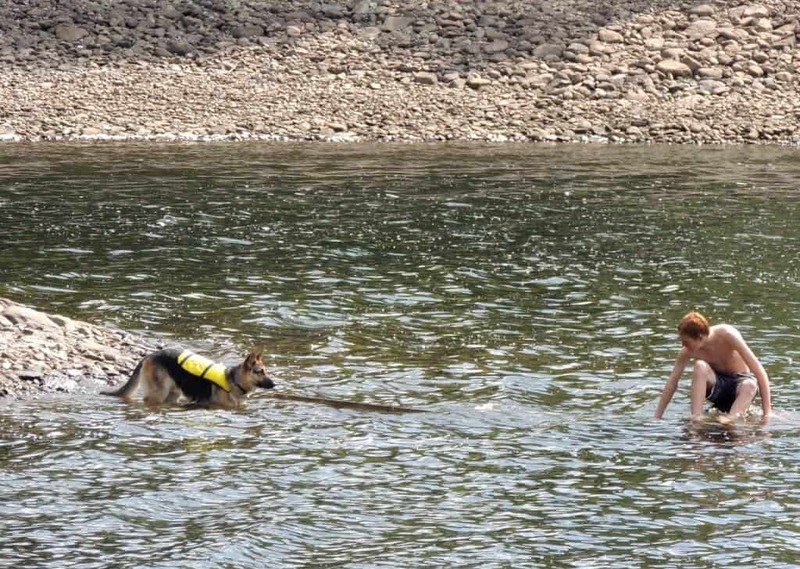 No matter how well they swim, we insist on a PFD if the dogs will be far from shore. It’s good for peace-of-mind and crucial in emergencies. Is there any reason golden retrievers aren’t on the list ? Nope, just an oversight. Most goldens that we’ve met love the water. I’ll add them in. Great article! I have never ridden in a boat with a dog so this helps me feel better prepared if I ever do! I think it would be important to practice on the land first before going in the water. And good thinking on getting the life vest for the dog! I’ve learned that not all dogs are good swimmers. Such a great informative post! Our dog doesn’t like water. Anyways, Love your above pictures. Thanks for sharing and happy kayaking! Great post! 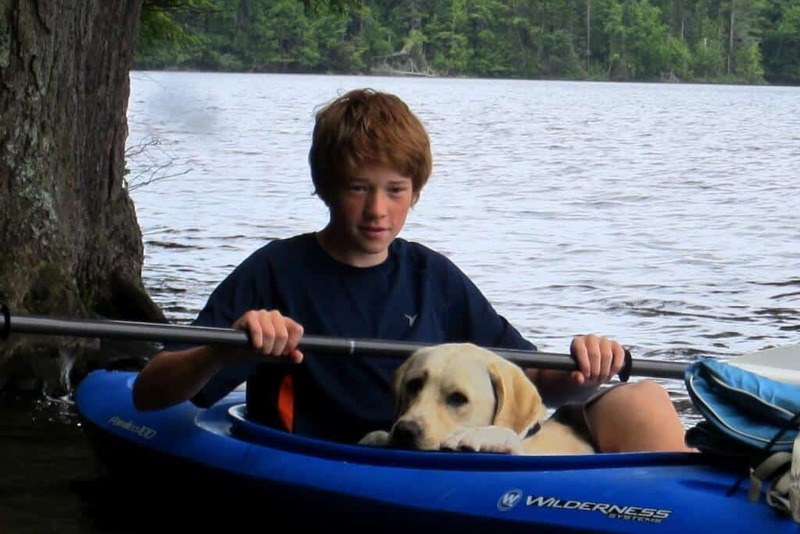 I have been hoping to ride in a Kayak with my dog! He does not like water. There are some tandem kayaks that one person can paddle fine. That could be a good option for bringing along a larger dog. Love kayaking, great activity, great compañy! We lost our dog about 2 years ago to cancer. Since then we started camping and kayaking more often. Now we are about ready to have another 4 legged member join our family. You have some great tips I am sure we will use in the near future. Bringing a new dog into the mix is such a magical adventure. Good luck, and I’m so glad you found the tips useful! I thought my goldendoodle was special because she loves the water. Always thought it was the retriever part of her not the poodle part. Nice article! Hey, Tara Thanks for useful tips you share with us!! This is really informative. Cant wait to try out some of these tips. However I have a feeling that we will probably tip over a few times. Really great article and completely helpful. It would be more interesting going an adventure with a dog! Thanks for sharing. I’ve tried surfing with Jack (golden retriever). It didn’t go so well. I’m sure part of the problem is that I’m not a very good surfer. Maybe we better try paddling. Nice article! Well you’re braver than me, Bekka. I’m no surfer, and I don’t think my dogs are either. Thanks for stopping by. Great post for the dog lovers who like to get out in nature. Wonder how our rabbit would go in the canoe? I’m glad I stumbled upon your article! We’ve just purchased 2 Solo Inflatable Kayaks and are hoping to Take our 2 Labs out with us (just placid lakes really). The tips will def come in handy! That’s so cool, Amanda. I’d be curious to hear about your experiences with inflatable kayaks. We will be testing one out this summer in hopes of figuring out what we should get next. My dog doesn’t like to play with the water. I will follow your tips when I go next time. I was trying once paddling with my dog. But she was afraid of water. After reading this guide and tips, I am going to give one more try and of course I will borrow some water loving dogs to make it easy. Thanks for the article. Thank you for all of this great advice. I have a boxer who just wanted to come on the kayak. We have had a couple of spills – luckily someone told me that boxers don’t float so I bought a life jacket before she ever fell in, which she did. She has also capsized the kayak so I now also wear a life jacket. Tethering has been a life saver for the two of us as, once capsized it kept her attached to the kayak and allowed me to keep the kayak between the two of us until I could pull us ashore. Anniedog also sorted her swimming that day and has not whinged on the kayak since. I have a sit on top kayak, but wonder if I would not be better off with a canoe- puppy dog does not like her bottom in the water, or whether I’d be better off getting her a seat- 30kg of boxer in your lap gets heavy- any suggestions? Hi Julee – Thanks for your comment – awesome that you get out on the water with your boxer. Yes, they’re a heavy breed. I’m partial to canoeing with larger dogs, but I also find that they’re harder to maneuver unless you have a partner in the boat with you. Really great post and completely helpful. Hey Tara, I read that it’s better to take a young pup along instead of an old geezer…lol… Like they adapt better. Do you find this to be true? I do think that the young pups learn quicker, but as long as the older dogs aren’t afraid or anxious, they can also learn to love paddling — just takes a bit more patience. I have both an Australian Shepherd and a new Brittany Spaniel puppy. My Aussie loves the water, but I haven’t tried taking him on a kayaking expedition just yet. I’m not sure if he’d like it or behave well enough to go with me. My Brittany is still a puppy so I haven’t tested his affinity for water yet. He might be the better choice to take paddling because he’ll be smaller and lighter. Thanks for the info! We had an Aussie for years who wouldn’t set foot in our canoe, but I think if your Aussie loves the water that’s a first good step. Good luck with your kayaking adventures, and if you get a chance, pop in and let me know how your dogs take to it. I just read a blog about 6 things you need to know about boating with your dog. This is much more comprehensive, thanks! I’m a super big kayak enthusiast and this article answered some of my questions. Thanks for this post! Thanks so much for visiting, James. I’m really glad you found the article helpful. Canoeing or kayaking with our pups is one of our favorite activities, and we will be taking our 11-week old puppy on her first canoe-camping trip next week. When we lived in Hawaii, I was surprised to see people doing stand up paddle boarding with their dogs sitting placidly on the board in front of them. I was impressed since it was all I could do to stay upright with just myself to worry about. Now that I’ve never seen, Suzanne. I’m with you – I’m just trying to remain upright on a SUP. Your dog is adorable! You’re definitely right about choosing the right dog to take out on the water; it’s certainly not meant for every dog. Great advice for how to enjoy a fun day with your dog! Thanks for sharing! Thank you, Morgan. Yeah, they don’t all take to the water, but we’ve been lucky so far. I had no idea about this! I’ve always assumed that dogs wouldn’t be a problem when it comes to being in the water, I didn’t realize some get anxious around it too. Adorable! Nothing screams happiness like a dog playing in the water! What an awesome article. Now, I just need a dog to teach how to ride in a kayak! My labrador would absolutely love this. Anything top spend time with us. We take her out in our boat with us regularly. Great post. WOW – this is packed with so much helpful information! Thank you!! 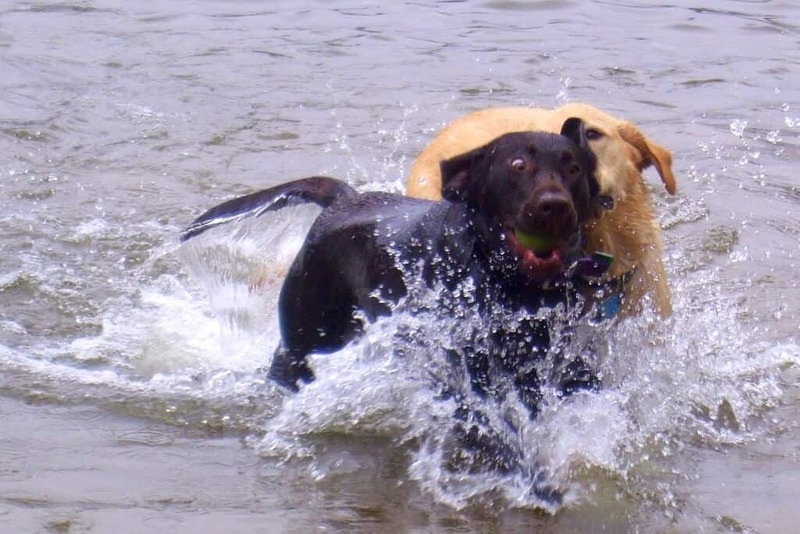 We have always had lab retrievers and none of them have really taken to the water. I’ll use these tips the next time we head out with our dog! We would really like to try this with our Aussie! She loves water, and it might be hard keeping her in the boat, but we know she’d love to go on an adventure! So fun! My daughter’s dog is a big time swimmer and lover of the water. Your dogs look like they are having a great time! My little Pomeranians swim in the swimming pool and float about on a lilo. I think dogs are happyy to join in with family activities. I have a five-month old black lab. She absolutely loves the water and oh boy, she is going to love your blog! Thanks for the info. I can’t wait to try it out this summer. Love this post! I have been hoping to teach my dog to ride in a Kayak! He hates to stay behind! Love those pictures! So cute and your doggy is so well behaved! My babies definitely aren’t on that paddling friendly list (two English Mastiffs and a chihuahua mix) and I guarantee they’d never warm up to the idea (at least not the big ones), but a girl can dream (and live vicariously through you!). Such a great write up and it sounds like so much fun. Now if I just had a kanoe I sure would give this a try. Your pups are so cute and well behaved by the way. Nice guide Tara – your dogs are super well-behaved. I wish our cat would be a little friendlier towards other animals so we could get a dog too, but he will not have any of it. Have you tried stand up paddle boarding with your dogs? We haven’t tried stand up paddle boarding with the dogs, but we did build a raft once out of a pallet, and cruised around the lake Huckleberry Finn style. We just got a kitten. He’s awesome, but he doesn’t want to go on adventures with me. Hey Tara! Great write up! I did one earlier on the best kayak for dogs. Being able to take the pooch when you get on the water makes the day that much more exciting. Thanks, Jim. We love taking our dogs along on all of our trips. I’m going to check out your kayak article.